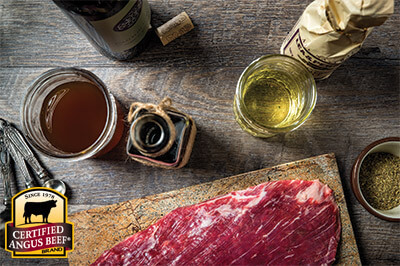 Marinate your favorite cut of beef with a combination of wine, broth, and seasonings for deep flavor. This deliciously bold marinade is perfect for steaks and roasts. Combine all ingredients. Place selected Certified Angus Beef® brand cut in zipper-locking plastic bag and pour marinade over selected cut. Close bag, removing air. Refrigerate at least 15 minutes and up to 2 hours for increased flavor and tenderness. Grill or broil selected cut to desired doneness.